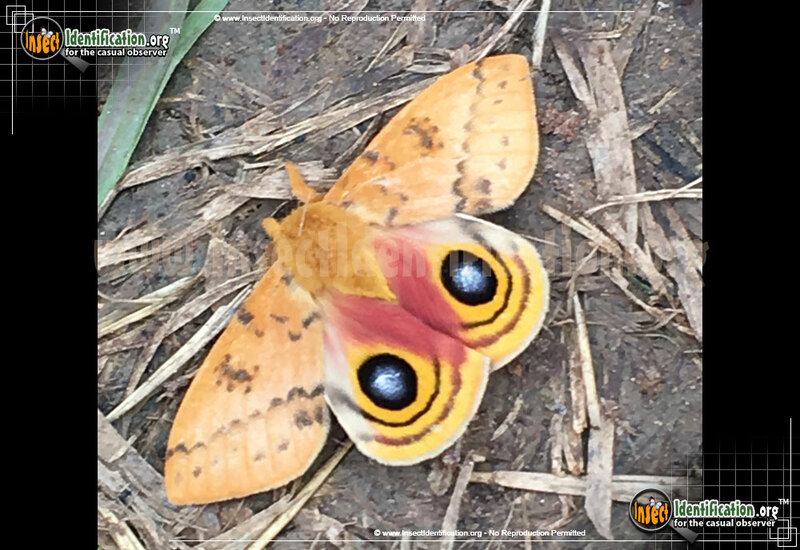 Detailing the physical features, habits, territorial reach and other identifying qualities of the Io Moth. 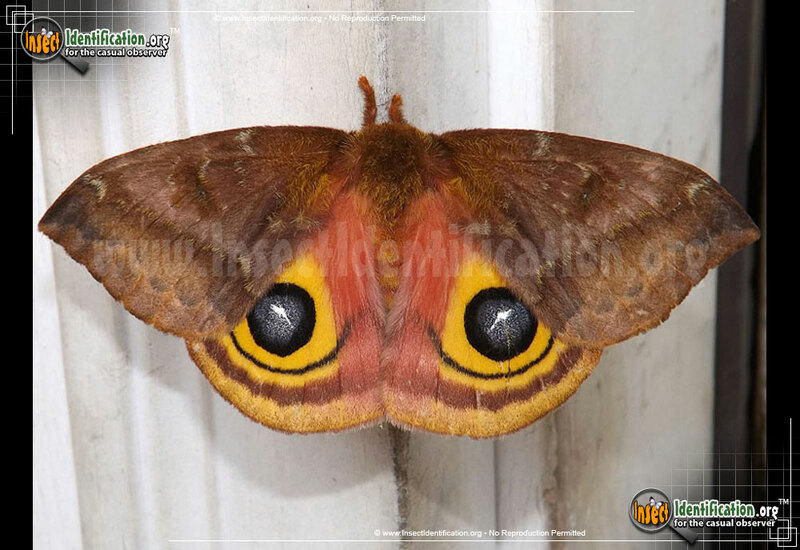 The large and conspicuous Io Moth comes in two shades, one for each gender, and has an equally striking caterpillar that can leave a painful impression. The name "Io" comes from Greek mythology. Io was one of Zeus' mortal lovers and was his wife's priestess. Zeus turned her into a cow to hide her from his wife. Male Io Moths are yellow and females are more brown. 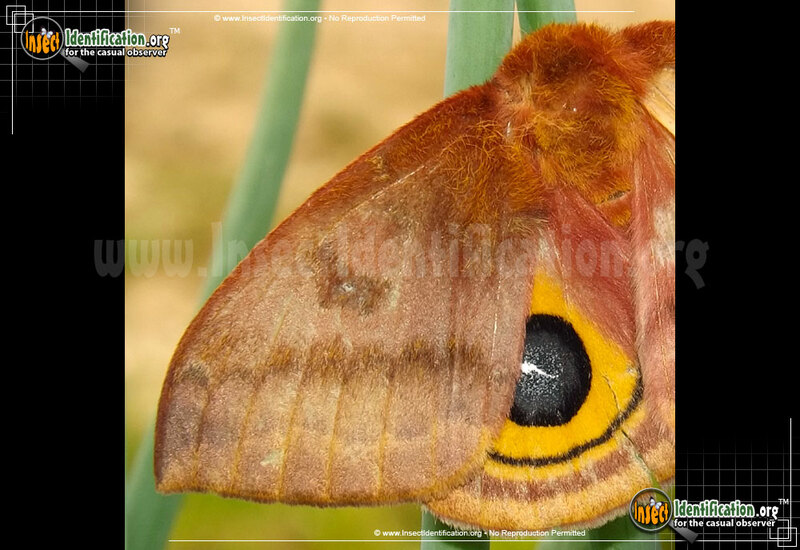 Both have large and clear eyespots. During the day, they lay still, camouflaged by their surroundings. If startled, they tuck their heads down and expose their eyespots. This defensive maneuver can scare away birds or perhaps confuse spiders into thinking there is more to the creature than they can see. They are nocturnal and adults do not eat, which enables them to focus on reproducing. Females release pheromones that attract males. Lifespans are short once females lay their eggs. Eggs are yellow and white. A fertilized egg develops a black spot and becomes more orange/brown as it matures. 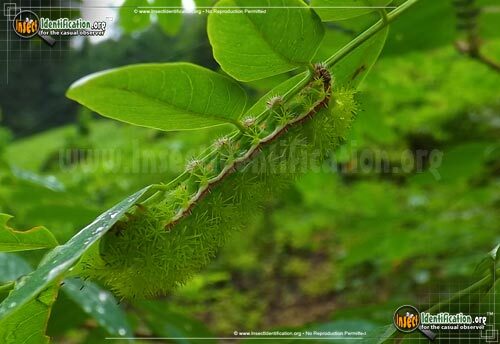 Young caterpillars are reddish orange and covered in spikes. The mature caterpillar is bright green and covered with tufts of green spines like those seen on a prickly pear cactus. These are stinging spines that inject small amounts of venom, which causes skin irritation and pain. A red and a white stripe run along the bottom of the caterpillar's body. 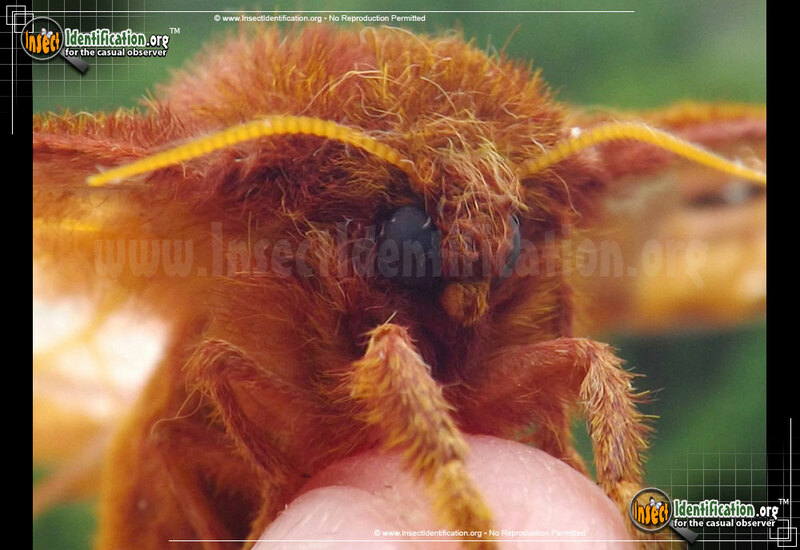 It may form its cocoon under a wrapped leaf or near leaf litter by a tree when it is ready to pupate. 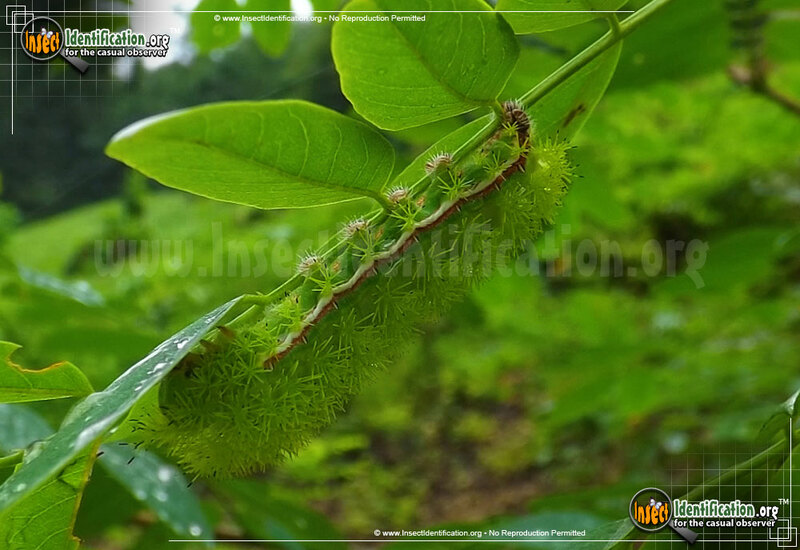 They feed on elm, maple, aspen, alder, hickory and willow trees as well as others.